Brickwork pointing or repointing is an important aspect of building maintenance. Over time mortar perishes and erodes, repointing is necessary to keep the wall or structure safe and sound, as well as to reduce damp and prevent future erosion, it also visibly improves the look of a building. Overtime bricks can become stained or tarnished, leaving it looking unsightly. We carefully clean and restore the brickwork returning your building to its former glory. We carry out all aspects of stonework and brickwork repairs, repairing and replacing, where required sourcing replacements that match. We undertake all types of repairs including damaged walls and repointing. We can repair all types of chimneys from repointing, relining to replacing damaged brickwork and renewing lead flashings. At B.A. Builders we specialise in brick and stone restoration. 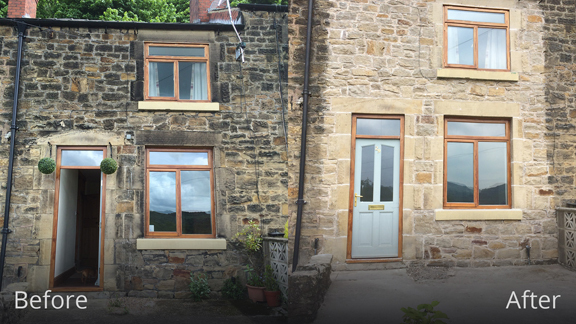 We have been in the business since 1983 and focus our efforts on re-pointing and restoring listed and period properties, which need our knowledge and experience. Our expertise and skilled, professional team are dedicated to sympathetically restoring your property, delivering projects with high quality results, on time and on budget. 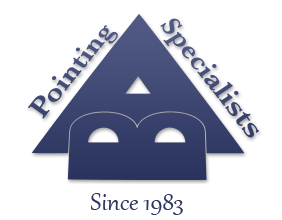 We pride ourselves on the quality of our workmanship, skills and knowledge of various mortars and pointing methods. Every job is treated as though it were our own property, with all the care and attention to detail that you would expect. Based in Eastwood near Nottingham we work with clients in Derby, Nottingham, Mansfield, Sheffield, Doncaster, Burton on Trent and across the UK.